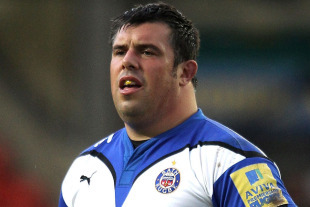 Bath prop Duncan Bell has been called before an RFU disciplinary panel after being cited for allegedly making contact with the eye/eye area of Sale lock Chris Jones. The 36-year-old former England international was picked up following an incident in his club's win against the Sharks on Friday, February 11. Bell will attend a hearing in London on Monday, as will Northampton's Roger Wilson. The Irish No.8 faces a charge of stamping or trampling on Saracens' back-rower Ernst Joubert on Saturday, February 12 during the Saints' loss at Franklin's Gardens.